To fabricate and install 6 ft design feature wall for LCD TV. To fabricate and install 20 ft kitchen cabinet. To fabricate and install 6 ft wardrobe for master bedroom. This basic renovation package should cover most of the your needs for 4 room or 5 room HDB flat. 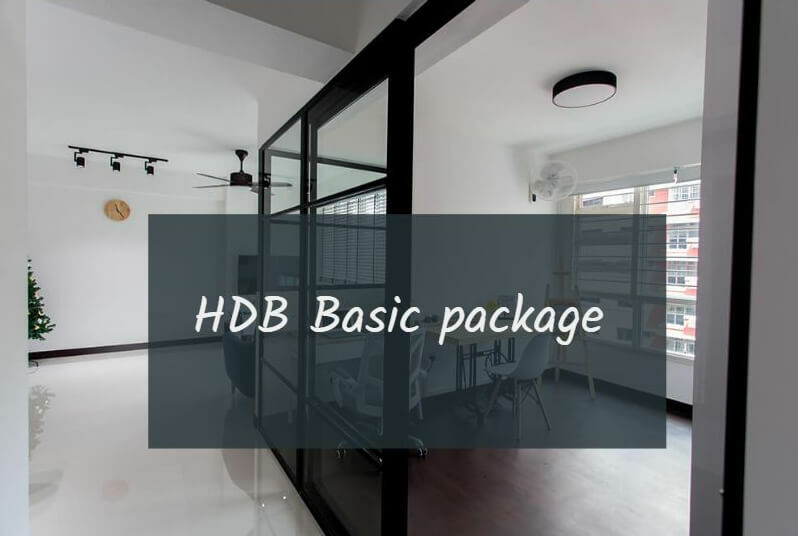 But if that's not what you're looking for, feel free to browse through what we have for other HDB and Condo packages which can also be found here. You can probably find something that meets what you're looking for. Alternatively, you can also sent in your details for a custom quote below. Want to find out what are the six factors that could affect your cost of renovation? You can check out our comprehensive lists of renovation packages here? And if its BTO flats renovation you're looking for, we have a few here for your consideration.